Some classic car aficionados invest a considerable amount of time and effort in searching high and low in order to eventually meet up with the vehicle of their dreams. Not so for Josef Abela, whose two classic cars literally fell into his lap. One day Josef was invited to attend an Old Motors Club activity by his long-time friend Joseph Farrugia. Josef then began his homework. He started leafing through classic car magazines, as well as becoming familiar with the local current old motors developments and sources. 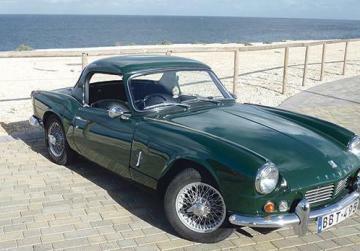 One day he was reading an article about the Sunbeam Alpine, and was overwhelmed by its chequered history. He earnestly started looking around locally, and eventually, as luck would have it, he found a Sunbeam Alpine under wraps in a garage situated in the street parallel to his own house in Zabbar, and soon after bought it. Between 1959 and 1968, Rootes manufactured the Alpine Series I to V. Josef’s Sunbeam came out in 1962 in the Series II, with a stronger 1592cc engine, and a revised rear suspension. 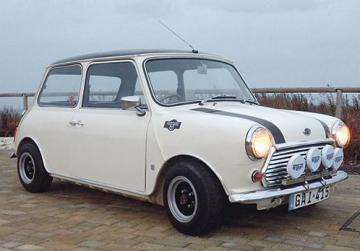 Not many of them are still around as during its sole year of production, less than 20,000 were manufactured. A few years ago, he decided that it was time for the classic car to undergo a nut and bolt restoration. The vehicle was dismantled, and body parts, suspension components, and a soft top were bought for the project. With the first classic car undergoing lengthy rehabilitation, Joseph started looking around for a second one. 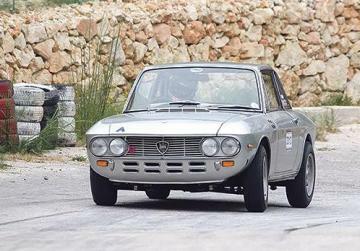 A Lancia Fulvia Tipo 818 appeared on his horizon in an identical way as the Sunbeam Alpine – spotting it in a magazine, local reconnoitring, and finally locating it in the vaults of a car dealer in Birkirkara. “I count myself very lucky in encountering so quickly the two classic cars that I fell in love with,” he admits, adding that the Fulvia, similar to the Sunbeam, has a very significant role in motor rally history, with laurels such as “a precision motor car”, and “an engineering tour de force” being bestowed on it during its production years between 1968 and 1976. Josef states that the Italian icon was cosmetically presentable, but not having been used for 16 years, water related aluminium parts, like the radiator and the pump, were either blocked or eroded. He put in the basic necessities to get it going again, and used it for six months prior to putting it through a complete nut and bolt restoration. He also changed its original champagne colour to silver. “It took me a number of years to get it back on the road, but it was a very stimulating challenge,” says a proud Josef, who has learnt all his technical knowhow from manuals as well as from seeking advice from those who know the ropes. 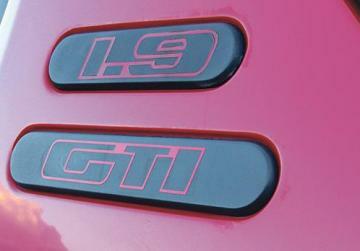 He frequently harnesses it in Old Motors Club rallies, as well as the Mdina Grand Prix. The 1971 Fulvia is officially listed as a Series II coupe 1.3 S. However, experts refer to it as Series One and a Half model since it was a transition between the first and second series. The engine, body, cockpit and dashboard belonged to the new edition, but the suspension components came from the first series. 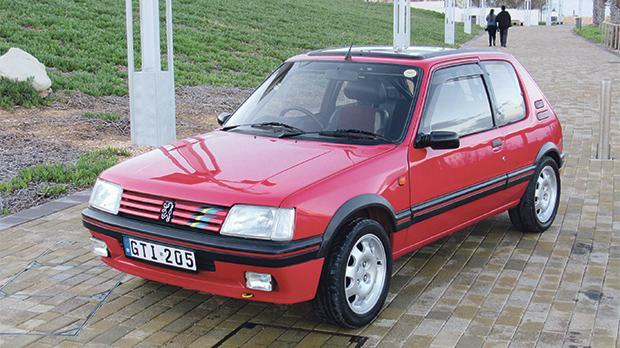 Well aware of the unavoidable nostalgia for long lost youth that comes with middle age, Josef has already hedged his fences by acquiring a red 1993 Peugeot 205 GTI – not a classic car yet. Josef describes the local old motors scene as healthy, both in quality as well as in quality. He rues the fact that his wife Maria, while encouraging his classic enthusiasm, shows no interest in old cars. He is, however, over the moon as his daughter Nadege is already addicted to old motors. Josef also has a very soft spot for old motor cycles. “Initially, it was pure economics, as initially I could not afford a car, and so I shared my father’s Honda C70. That early experience has meant that now I spend more time on two wheels than on my own two feet. I use a bike for my everyday personal and work needs”. 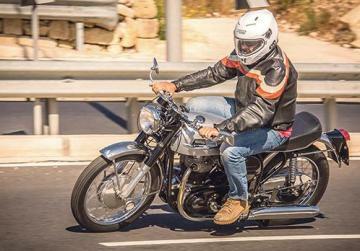 He lists two restored bikes that he uses – a 1965 Norton Atlas and a 1975 Kawasaki Z650. Four other classic motor cycles await restoration: a 1962 BMW R60/2, a 1968 Lambretta 200, a 1978 Moto Moroni, and a 1982 Moto Guzzi V65. Asked to comment about the local motorcycling situation, Josef refrains from passing any generalisations. “In my considered opinion, some car drivers lack basic road etiquette. For example, sometimes one sees a car being driven in the morning with its side mirrors still closed. There are also some cyclists who are careless. But on a positive note, I have personally noticed that in the recent past, there has been a significant change in attitude towards cyclists coming from bus drivers and heavy vehicle drivers. I am sure that educational and drive safely campaigns are having the desired effects.” he concludes.